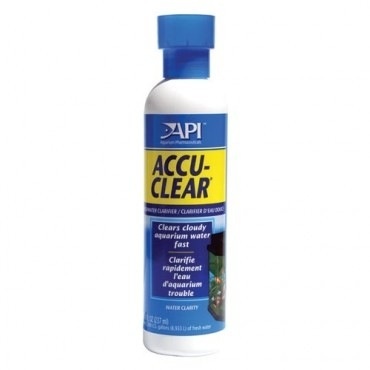 Aquaria AP ACCU-CLEAR 8 OZ - Rick's Pet Stores Inc.
Accu-Clear clarifies hazy aquarium water quickly and effectively; eliminating clouding caused by suspended particles. This powerful solution clumps tiny particles together, forming larger particles that are easily removed by the aquarium filter. 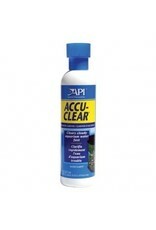 Accu-Clear also eliminates the milky haze caused by newly introduced aquarium gravel. This product can be used weekly, and is safe for use with all fish and plants. For freshwater use only.